Maximize Your Marketing Campaign Insights. Metrics are vital in understanding the ROI of your marketing dollars. They point to opportunities you can further leverage. We provide analytics for all our virtual tour products all in one place, so you are ready for your next decisions. 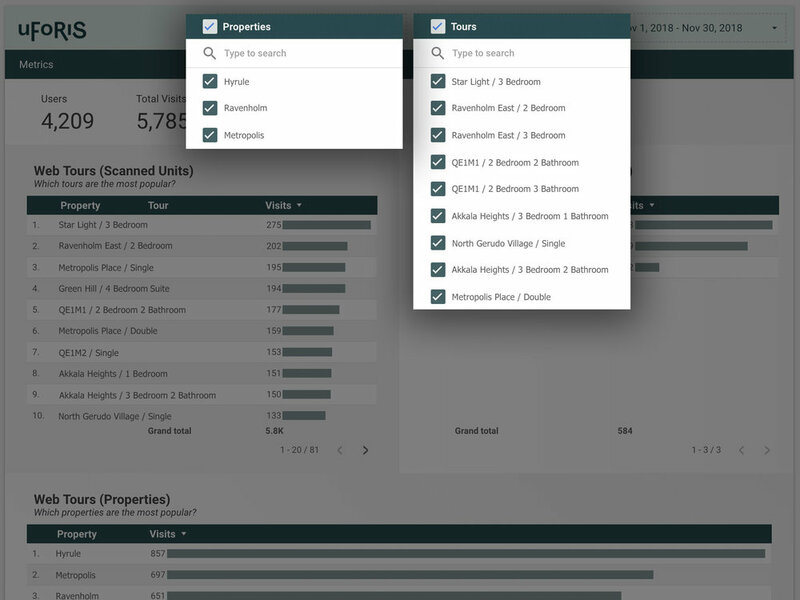 We track the number of visits and viewing locations for every web tour embedded in your website. The next time you promote a property, send out a newsletter, or give out goodies at an event, you'll know how many people you engaged. We track every virtual reality tour viewed and their locations. You'll know which properties are the most popular, which leasing office is doing the most showings, and which events are the most effective. Easily filter your data by week, month, quarter, year, or specific date ranges. A great way to give your marketing campaigns more context. Get insight into the number of views each tour receives over time. Compare and contrast between tours relative to your marketing campaigns. Focus in on the information you need by filtering only the properties and tours that you are interested in. Compare the effects of your marketing campaigns between properties. 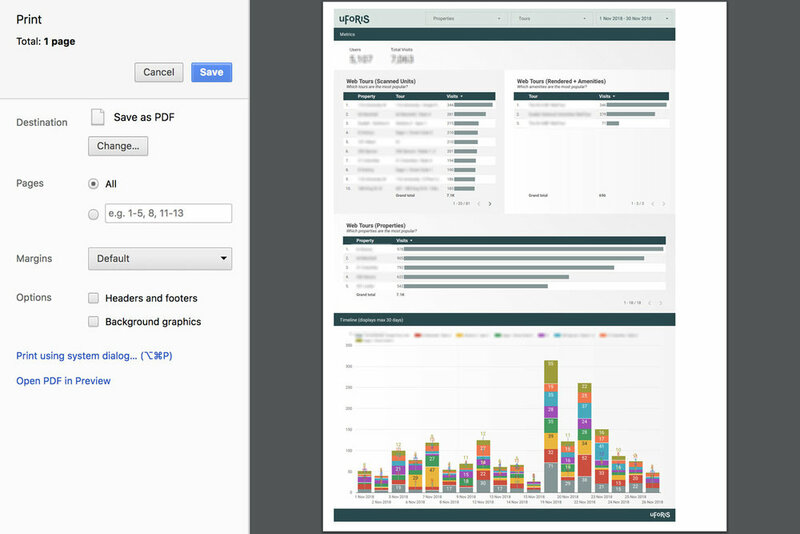 Get your organization on the same page by exporting and sharing your reports. If there are KPIs you'd like to track, let us know. 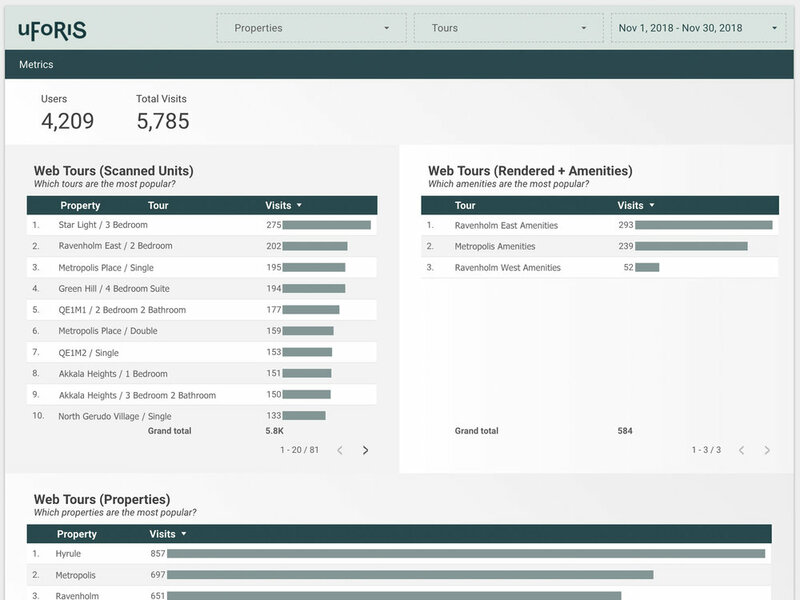 Get a high level overview of the number of users who have seen your units and the total number of units viewed through the Web / Virtual Reality. Where in the world are your views? Discover which continent, country, and city is most active. You may be surprised.